Welcome to the 2018-2019 Soil Health Specialist Training Page! The Practical Soil Health Specialist Training Program is a NE-SARE funded project of the American Farmland Trust. 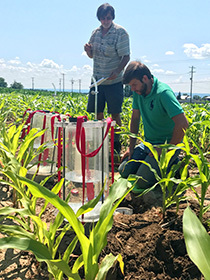 Project collaborators include the Cornell Soil Health Program, Cornell University, NRCS, New York Department of Ag and Markets, Cornell Cooperative Extension, Cornell Small Farms Program, Soil & Water Conservation Districts, agri-businesses, and farmers. This is a 3-year program for 20 agricultural service professionals across New York State. The goal is to establish a network of Practical Soil Health professionals to support and educate farmers to improve soil health on their land. 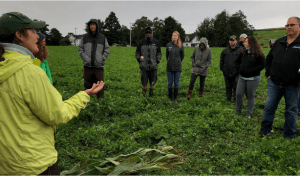 Specialist trainees get an in-depth understanding of what soil health is, how it can be measured and monitored over time, and how soil health can be improved through holistic, adaptive, and data-driven soil management. The training is a series of five, two-day workshops with associated field days. Two workshops have already occurred on“Soil Health Principles” and “Cover Crops and Cropping Systems”. The third workshop will focus on Adaptive Nutrient Management. 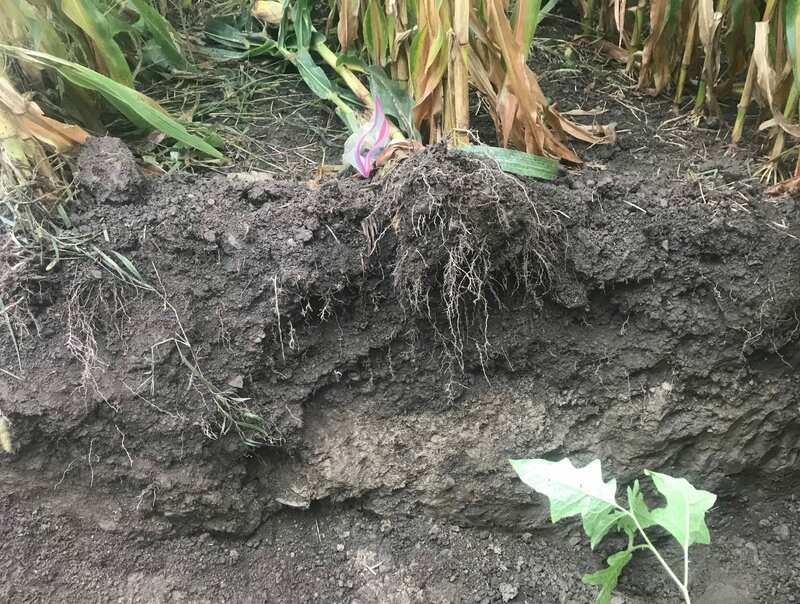 In addition to presentation materials, we have posted project resources to serve as a template for the development of future soil health specialist trainings.